15 year old Melville Senior High School Aviation Specialist Program student Dean Morris has won a $15000 scholarship to extend his aviation experience. To enable young aspiring pilots to achieve their dreams, the Honourable Company of Air Pilots and Flight Experience Perth announced a joint initiative to offer the “Pilots of Tomorrow” scholarship. 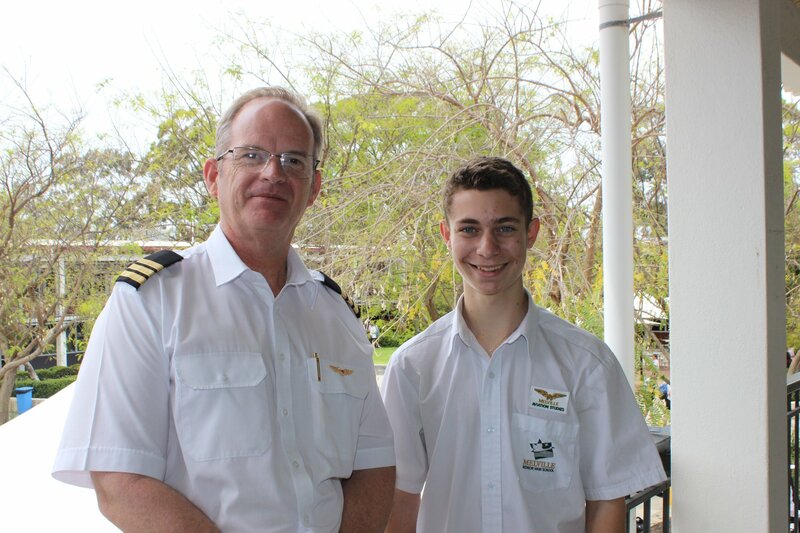 The program was open to year 10 to 12 high school students interested in a career as airline pilots. Dean had to by create a video and was then interviewed with test questions. He had then to perform on the Flight Simulator flying the A380. The “Pilots of Tomorrow” program is designed to expose teenagers to the exciting world of aviation and especially careers as pilots. We plan to encourage and develop future professional pilots who demonstrate dedication and aptitude towards a flying career. According to aircraft manufacturers Boeing and Airbus, more than 600,000 pilots are required over the next 20 years. Interestingly, this is more commercial airline pilots than have ever been trained since the dawn of air travel. Dean is elated to be the recipient of this scholarship.